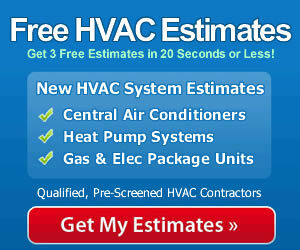 “I’ve learned a great deal from reading newhvac.com so I thought I’d share the details on the recent HVAC purchase I made. I primarily wanted the heat pump for cooling. For heat, I use solar heating for part of it and a small pellet stove for the rest of it. I’d like to live entirely off the grid and hope to be able to power the heat pump with my own compact windmills in the next year or two. We get plenty of sun and wind here and it only makes sense to take advantage of it, in my opinion. The installation cost blew my mind and when I got the quote shopped it around to other dealers first, with no luck on getting it lower. Then I called 3 or 4 handyman services in the area and no one wanted to touch the job, most saying that HVAC installation is not a job for anyone but trained professionals. I left it at that and had the dealer do the install. The heat pump both cools and heats as anticipated. I have no doubt it could handle the heating here on even the coldest days but I only use it if I’m low on pellets for the wood stove. I’m pleased with the system and would recommend it. Energy Star rating with 14 SEER. Scroll-type compressor offers higher efficiency. R-410A refrigerant does not contain chlorine and is environmentally safe. Uses SmartShift technology for quiet, frost-free operation. Suction line accumulator, crankcase heater and filter dryer enhance performance. Foam compressor sound blanket and insulated cabinet reduce noise. Lifetime limited warranty including unit replacement on the compressor; 10 years on all else. Thanks for the note Aidan. It’s always helpful to hear from others. In the end, Aidan made the right call by having a qualified contractor handle the installation. It is expensive – no one is denying that. Contractors have labor costs, costs related to various insurances for themselves and their workers, trucks and equipment, training costs, and more that add up pretty quickly. But having a professional do the job will guarantee that your warranty will be honored in the event of problems. You’ll have greater confidence that your heat pump is sized correctly, that it is safely installed and that it is properly adjusted for peak performance in your particular home. That will lead to long-term cost savings and longevity so that the quality installation of the unit will pay for itself in the years ahead.